On 1,200 pristine acres in the heart of Vermont's breathtaking Green Mountains, Hawk has created one of the most peaceful and unspoiled family-friendly Vermont resorts in the world. Luxurious villas and a 50-room inn offer an elegant perspective on these ancient wooded peaks. President Calvin Coolidge, who loved to stroll the very same woods in which Hawk villas are now artfully concealed, once wrote: "There is healing in the trees for tired minds. And for overburdened spirits, there is strength in the hills." 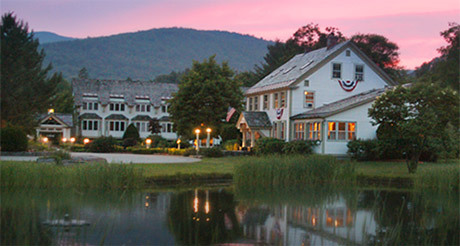 But Hawk Inn and Mountain Resort is much more than just a peaceful and relaxing way to spend your Vermont vacation at one of the most exciting resorts in Vermont. 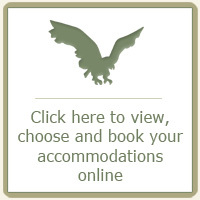 We offer all sorts of year-round recreational activities to satisfy anyone. And, while you and your family will never run out of things to do within the resort, we are also a short drive from some of the most exciting sports destinations anywhere! For instance, you have your choice of several of the Northeast's best ski trails and/or golf courses in the country, just to name a few. Whether you and your whole family seek rejuvenation in the blissful silence and beauty of Vermont's countryside, or prefer the exhilaration of world-class service and unparalleled recreational offerings, there is one extraordinary resort that provides the very best of both. 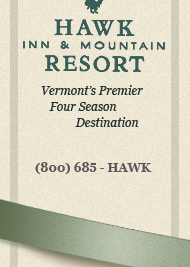 In Vermont, Hawk Inn and Mountain Resort is one of the finest Vermont Resorts. View our Video above and see for yourself just some of the many activities you and your family can enjoy at Hawk Inn & Mountain Resort. The magic of Hawk Inn and Mountain Resort.